A few weeks ago I wrote about how Alessia Cara was due to be a genuine star. If you recall, I cited her performance on her song “Here,” which is quickly establishing itself as my favorite song of 2015 with not many real challengers, as why I was so excited for her debut EP Four Pink Walls. Four Pink Walls was formally released two days ago and in that time it’s been more or less the only thing I’ve listened to. One of my favorite albums of all time is Amy Winehouse’s Back to Black. That album was 10 songs and 36 blistering minutes of pristine music. I mean it as a compliment when I call that album economical. Winehouse trimmed every piece of fat off and created a perfect album. Four Pink Walls is 5 songs and 18 minutes long in total. That’s right, Alessia Cara’s debut album is shorter than an episode of Friends. While I don’t want to go too far on the hype train by comparing it to one of the top 10 albums of the past fifteen years, Four Pink Walls shares that economical spirit. There really isn’t a wasted moment, nor an elongated moment. All the songs are great while the first two – “Seventeen” and “Here” are genuinely career-making songs. Someone compared “Seventeen” to “Team” by Lorde which is about as apt a description as possible. Cara has her own sound, but the bounce in each of these tracks is similar. Again, this is meant as a compliment. “Seventeen” probably should be a major radio hit in the near future. It deserves to be. This is an album that is as easy to listen to as possible. The songs are entertaining and high quality. Cara is endlessly talented (and, again, only 19 years old). 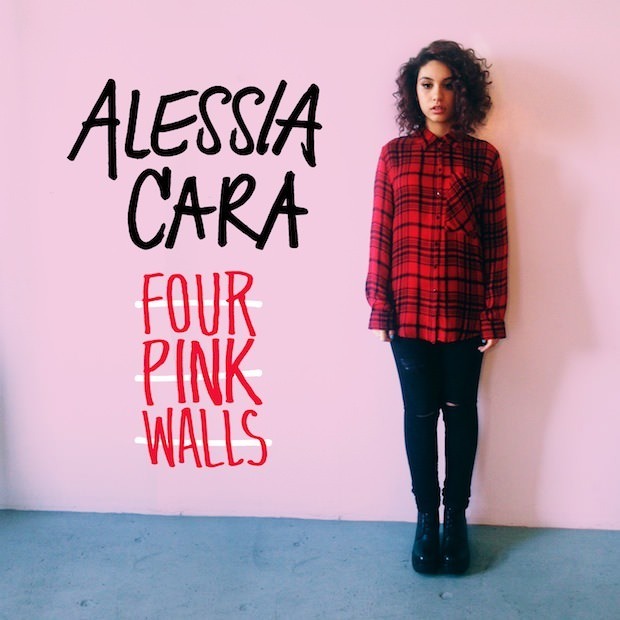 Four Pink Walls is perfect for anyone looking for some new music as the school year begins again.